Details about Vintage Mixed Lot Of 5 Hair ? Bonnets Of Various Sizes,Colors,etc." GREAT LOT "
Vintage Mixed Lot Of 5 Hair ? 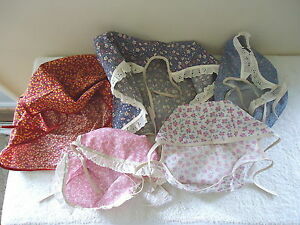 Bonnets Of Various Sizes,Colors,etc." GREAT LOT "